Thomas’s range of employment work includes acting for claimants and respondents in multi-day and multi-party cases, and encompasses all forms of discrimination as well as the operation of the TUPE regulations, unfair dismissal, whistleblowing, claims for wages and breach of contract (including bonus schemes) and protective awards regime under TULRA 1992. Thomas recently appeared successfully for the claimant in the employment tribunal and then in the EAT by way of written submissions opposing the Notice of Appeal at a preliminary hearing under paragraph 11(8) of the EAT Practice Direction 2013 in a whistleblowing case. Permission to appeal was refused and so the client retained his substantial award of damages obtained at trial when also represented by Thomas. Thomas also appeared in the EAT for the successful respondent employer in Kisoka v Ratnpinyotip  ICR D17 resisting the claimant’s appeal in circumstances where the employer had maintained its original decision to dismiss the claimant despite the claimant’s appeal against dismissal having been referred to an external panel which had recommended reinstatement - the first appellate decision on this particular point. Thomas also acted in the employment tribunal and the EAT for the claimant in a successful claim for enhanced redundancy pay in which the claimant recovered her statutory redundancy pay as well as £25,000 of additional contractual redundancy pay following an amendment to the claim made on Thomas’s advice to claim statutory as well as contractual redundancy pay. the successful defence of a retirement home against claims of unfair dismissal and age discrimination. the circumstances in which a volunteer charity worker might be an employee within the meaning of the ERA 1996.
alleged pregnancy-related discrimination in circumstances where the claimant’s male colleague covering her maternity leave was said to have been offered training and promotion not notified or offered to the claimant. 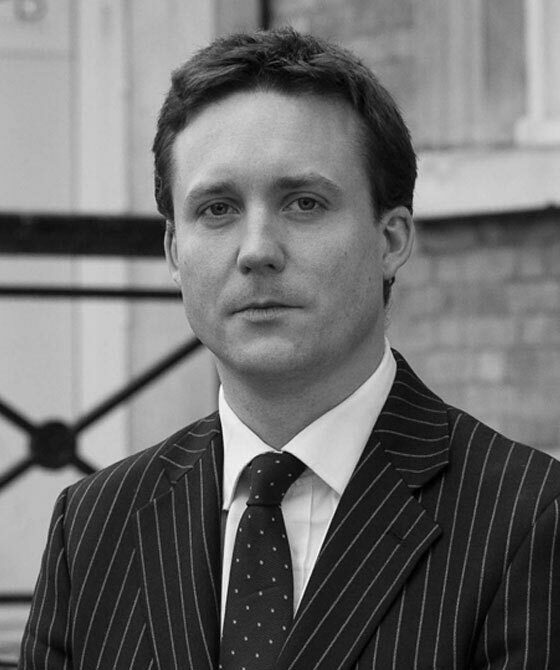 Thomas also has recent experience of applying for interim relief and representing parties at judicial mediation. Furthermore, Thomas advises employees and employers on the scope and enforceability of restrictive covenants in employment contracts. Recent clients have included a firm of solicitors regarding a new member of staff joining the firm from a similar firm in the same geographical area. Thomas also regularly gives talks to solicitors and employers/HR professionals on topical employment law issues. Recent topics have included when and how to bring different types of employment claims in the ET or county courts, practical approaches to preliminary hearings and judicial mediation, and recent developments in the law relating to reasonable adjustments. Thomas is a member of the Employment Law Bar Association and the Employment Law Association. Before coming to the Bar, Thomas was a professional guitar player and teacher and in his spare time still plays electric, steel-string and classical guitar. Employment law barrister Thomas O'Donohoe examines the impact of the general election's result on employment cases. In the wake of the snap general election's result, employment law barrister Thomas O'Donohoe examines how employment cases may be affected. "Many thanks for your help with this case and for securing an excellent result – the client was very complimentary about you and it is obviously of particular importance where we aren't attending hearings to have a personable barrister with strong client management skills." - instructing employment solicitor, 2017. “Please extend my thanks to Mr O’Donohoe for this comprehensive submission. Your choice in him was very well placed” – whistleblowing claimant client represented successfully by Thomas at ET and EAT level. “Tom’s approach was exceptionally thorough and this gave our client great confidence in his advice in a case involving complex variables about future loss of earnings” – instructing PI solicitor. “Thank you for your outstanding work on this case. I look forward to working with you again” – instructing solicitor in successful defence of claims of unfair dismissal and whistleblowing. “We instructed Tom in a recent RTA case involving a father and his daughter who both suffered substantial physical and psychological injuries. Both have been impressed not only by Tom’s thoroughness and attention to detail but also by the sympathetic treatment and understanding they have received from him throughout” - instructing PI solicitor. “Thomas has been instructed on a number of occasions and has proved to be excellent...exceptional legal knowledge within his selected area... . A fantastic ability to quickly understand complex issues within a short space of time and the ability to analyse and deal with a large amount of information without prompting.... Clients find him to be an excellent orator with fantastic diction and cross examination skills... a trusted advocate and is recommended amongst fee earners in the department... determined to succeed on behalf of clients” - head of employment law at a firm of instructing solicitors.